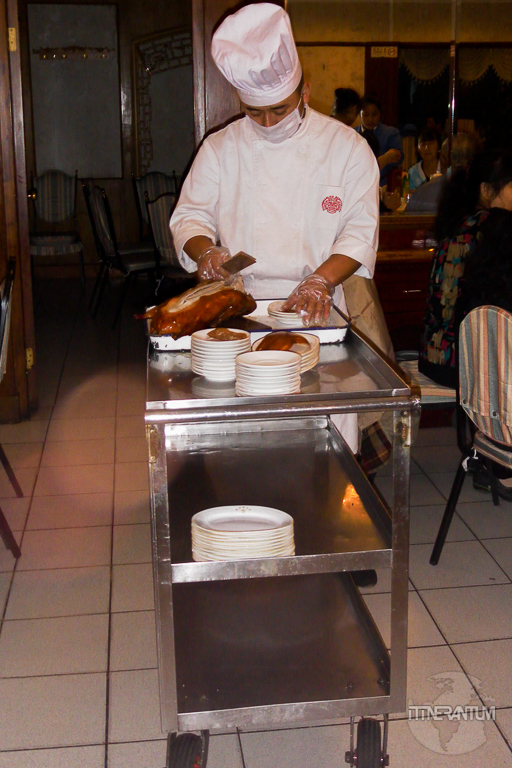 A must while in Beijing is the Peking duck. It’s one of the eight most popular Chinese dishes and it’s famous for the crispy skin. Not much meat and quite greasy, but definitely a try. The cooking process is very elaborate and involves multiple stages. They are all important but probably what gives the duck the final flavor is the roasting (upright position using fruitwood), followed by a quick immerse into boiling water, coating with syrup and finally left to dry for 24 hours. All the guides will tell you to go to the fancy Dadong, Quanjude, Made in China or the more classic Siji Minfu, but in general I prefer the local restaurants more than the big fancy tourist places. Once you’ve decided which restaurant to go, you only have a couple more decisions to make: to have the whole duck or just half (go for the whole duck especially if you are two sharing) and if the restaurant offers different levels of quality, go for the more expensive one. 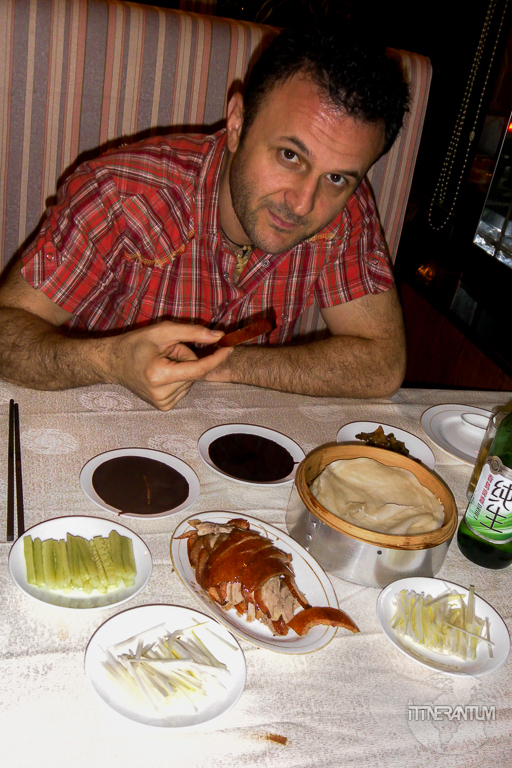 It’s not like you’re everyday in Beijing, eating the famous Peking Duck. And then, you have to decide about the sides. At some restaurants they will carve the duck beside your table. All it’s left for you to do is enjoy the wonderful flavors. You can dip the meat together with some of the crispy skin into the sweet bean sauce followed by some slices of cucumber and scallions or you can wrap everything together into the perfect bite using a small piece of pancake from the steaming holder. That is bit of the Chinese culture and history right there.. I just wish we had more time to try out other venues, but that was definitely a meal to remember.